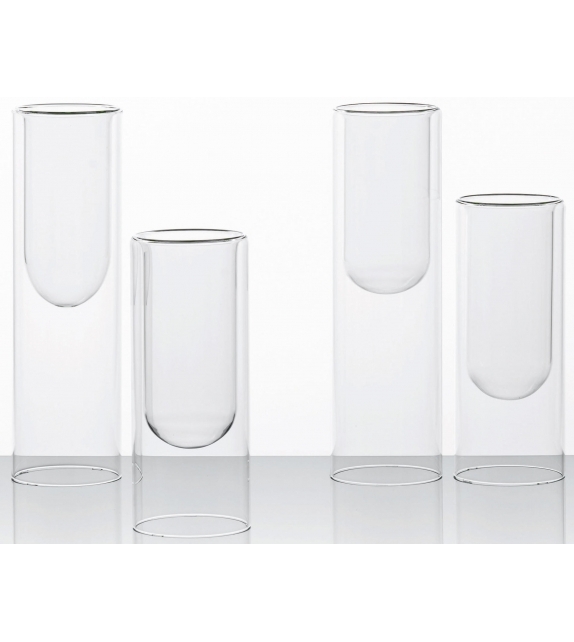 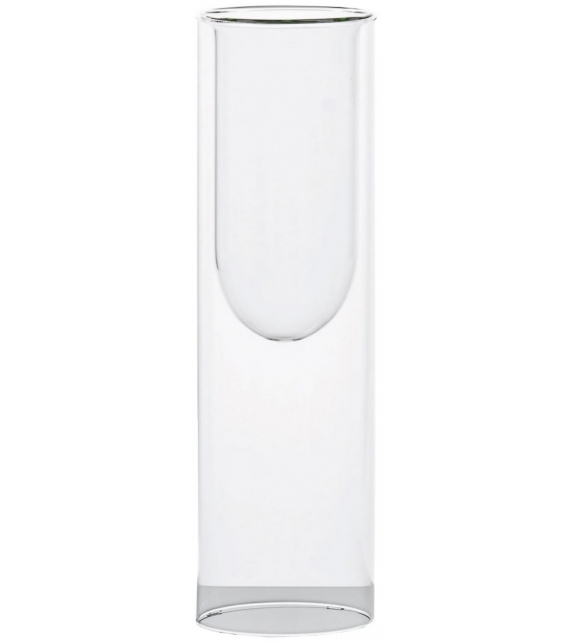 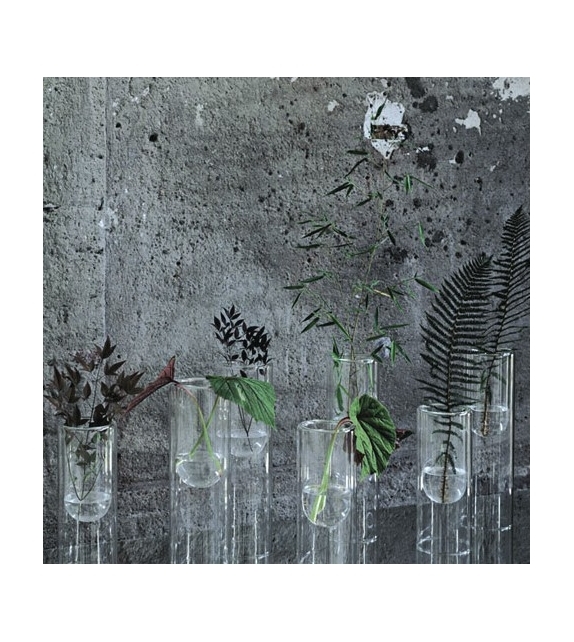 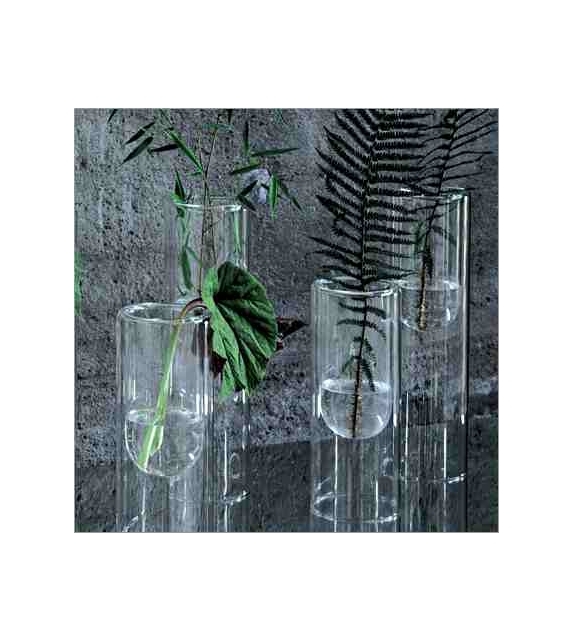 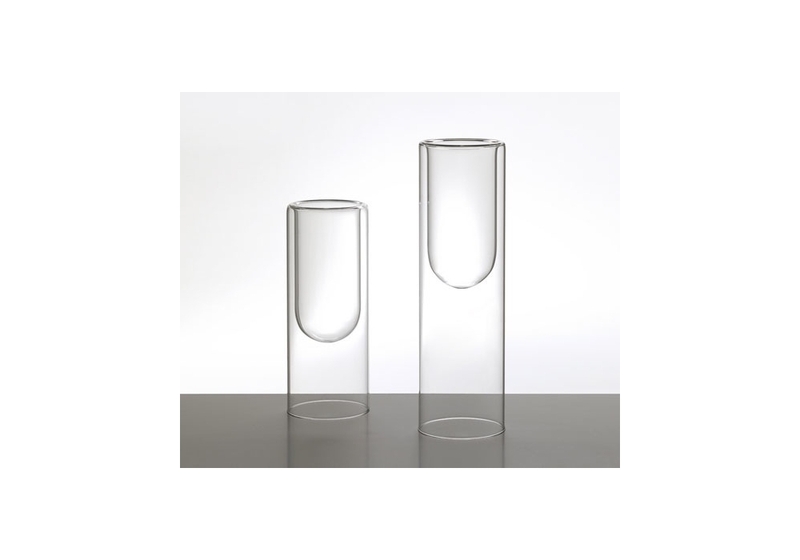 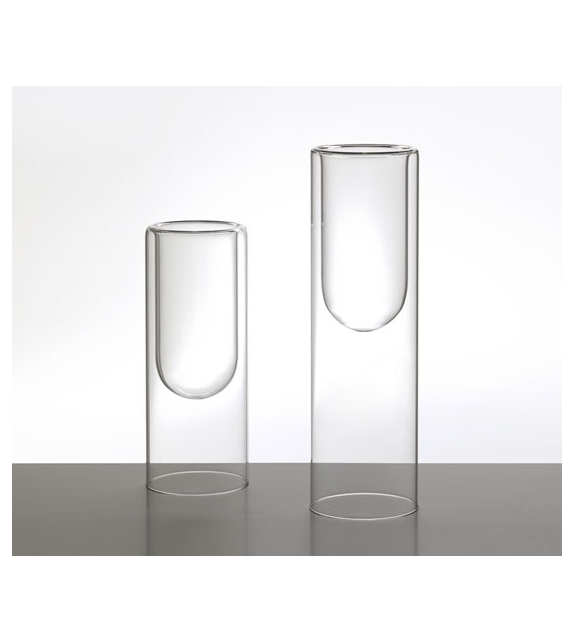 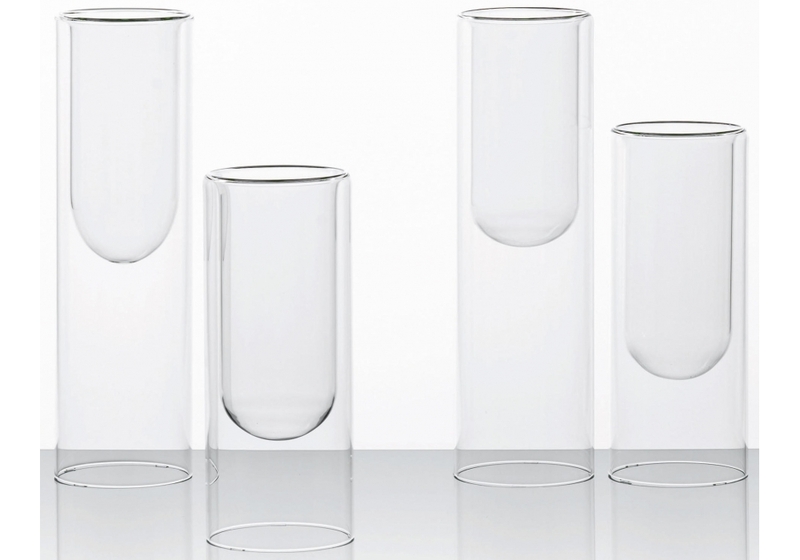 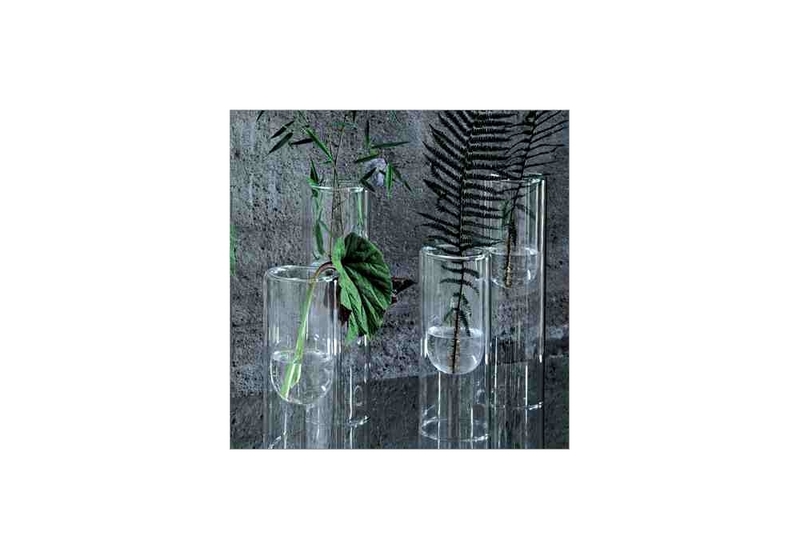 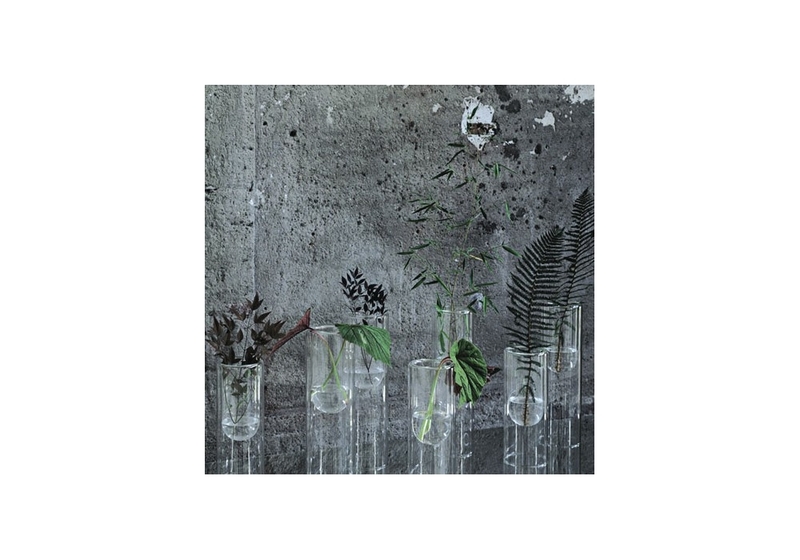 Glas Italia, Tutube vase: Cylindrical vases in borosilicate transparent glass. 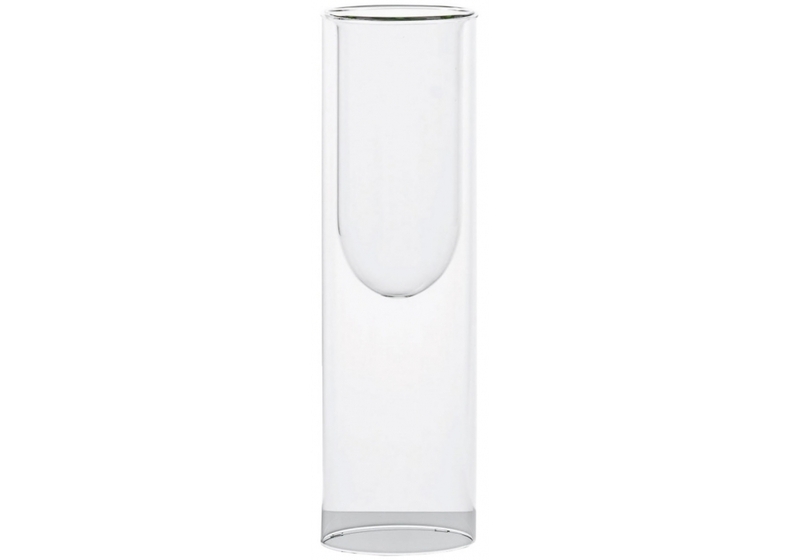 Thanks to a complex and refined blowing manufacturing, a concavity, presenting continuity of solution with the outside, is created in the inside of the cylinder. Available in two different heights.